In your car or home, there probably isn’t a lot of pressure to pair. But in the workforce, it’s a different story. Whether a user is attempting to pair a mobile computer or barcode printer in the warehouse, on the manufacturing floor or at the patient’s bedside, the chances of quickly pairing the device is less likely and probably more complicated to perform. Of course, Bluetooth devices are said to be compatible in most every case, but there’s a chance it will be difficult, particularly if two devices employ different versions of what is deemed the current “standard”. In those cases, you might have to struggle a bit to get them to pair. On top of that, keep in mind that not all apps are created equal! Some interfaces are more complex, making the process less intuitive than it could be. That’s when a technical pro with specialized knowledge can be a big help. Zebra heard this feedback, loud and clear, and created two new apps to help solve the current challenges. They call them Scan & Pair and Tap & Pair. Scan & Pair is designed for Windows Mobile and Windows CE device pairing using the scanner to enable simple pairing. Again, all the user has to do is install the app, scan the barcode on the printer, and it will pair! Tap & Pair is designed for Android-based device Bluetooth pairing, leveraging Zebra’s Print Touch and NFC (Near Field Communication is a set of standards allowing devices to establish radio communication by either physically touching them together or bringing them within very close proximity of one another). This makes the process simple, fast and easy for all skill levels. All you need to do is install the app, touch devices, and voila! Scan & Pair and Scan & Tap are both features on all Zebra printers as a part of their Print DNA, which is the ‘genetic code’ that gives printers the business boost they need to increase their capabilities. This combination of apps, utilities and developer tools creates high performance printers that are remotely managed, and easy to integrate into existing platforms (more info on Print DNA here). It’s these tools that drive the kinds of features and functionality needed to streamline operations in fast-paced, high-productivity environments. 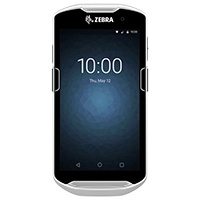 For more information on Zebra device pairing, contact Procensis today.